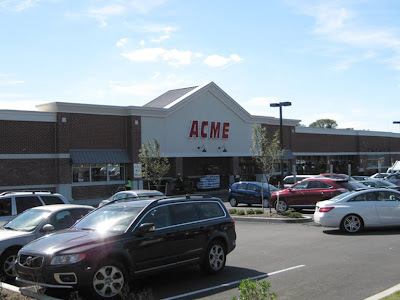 The newest Acme on the planet finally arrives at Acme Style! I apologize for the delay of this very momentous occasion. 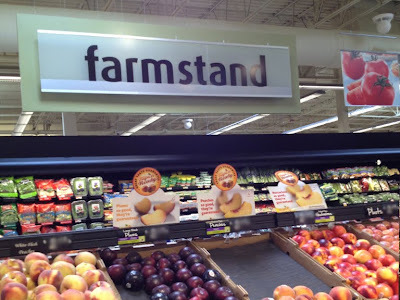 The store opened on June 1, 2012 but I wasn't able to make the trip there until just a few weeks ago. After all the anticipation, I have to say... this new Acme did not disappoint. 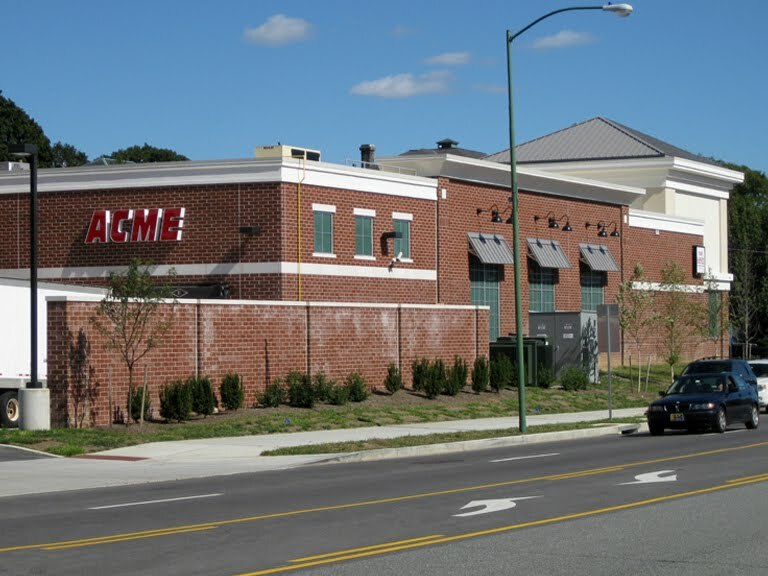 The former Bryn Mawr Acme, a 1956 model which stood on this site for 55 years, was closed on May 12, 2011 to make way for its big fancy replacement. The old location was covered on the blog in May 2011 and can be visited by clicking here. 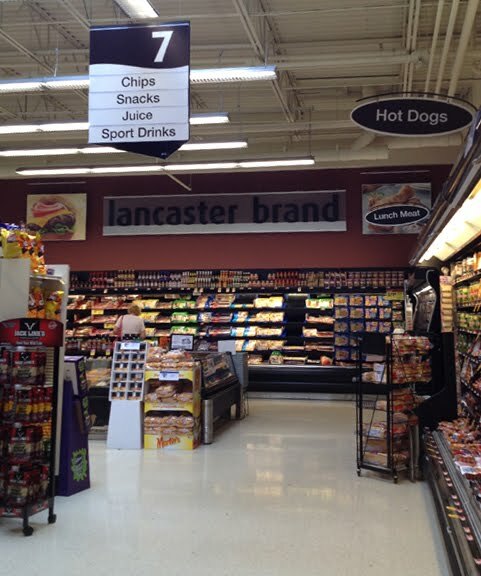 Grand Opening of the new store was June 1, 2012, several month pasts it's original opening date. 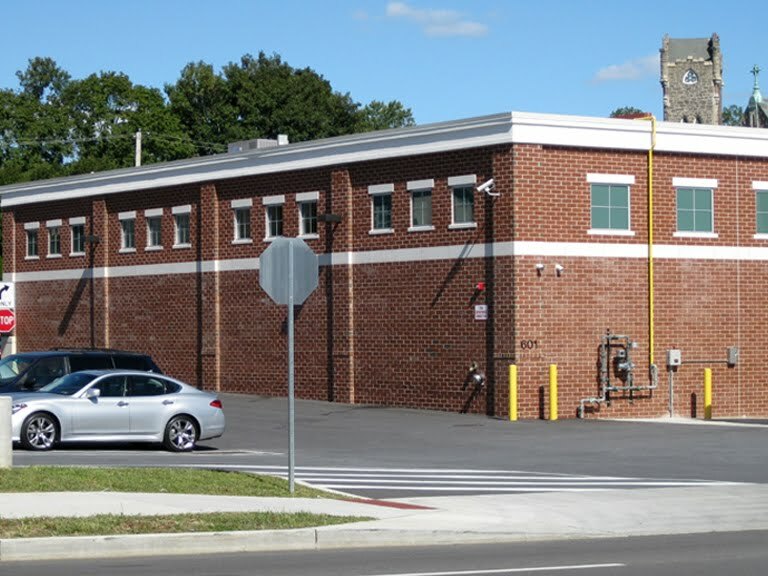 Construction was met with delays in Fall in 2011 due to an unusually rainy season which included Hurricane Irene. The project was delayed by years due to Acme waiting to acquire the land just next door where a Jaguar dealership stood. Once that deal went through, it was out with the old, in with the new! This is done from memory and not 100% accurate. 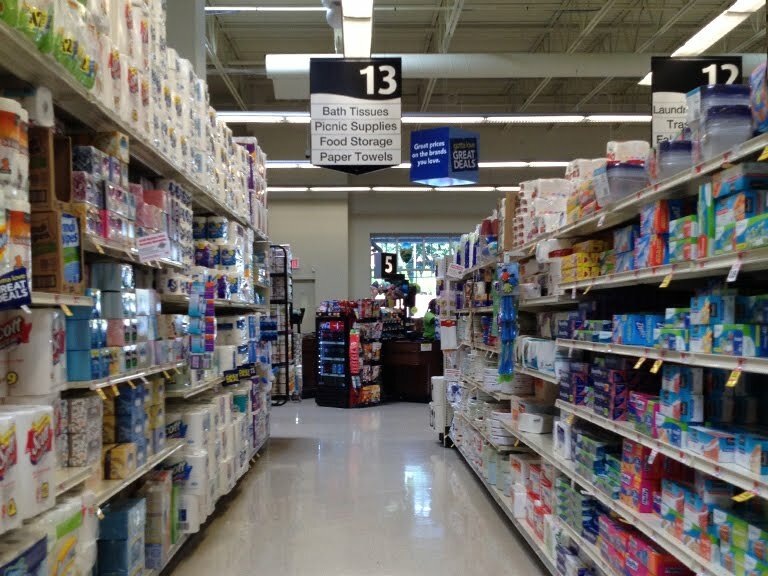 I seem to remember there being only one aisle that extends from front to back. 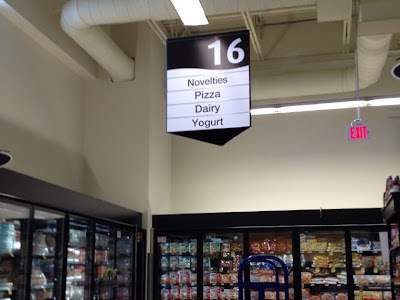 I have two pictured above in an effort to make up for all 16 aisles. The new sales floor space is twice the size of the old. 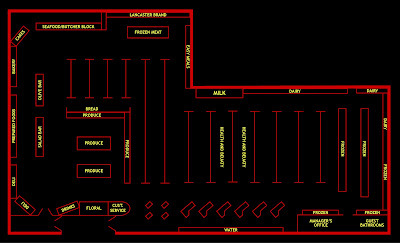 Click here for a look at the former store's layout. 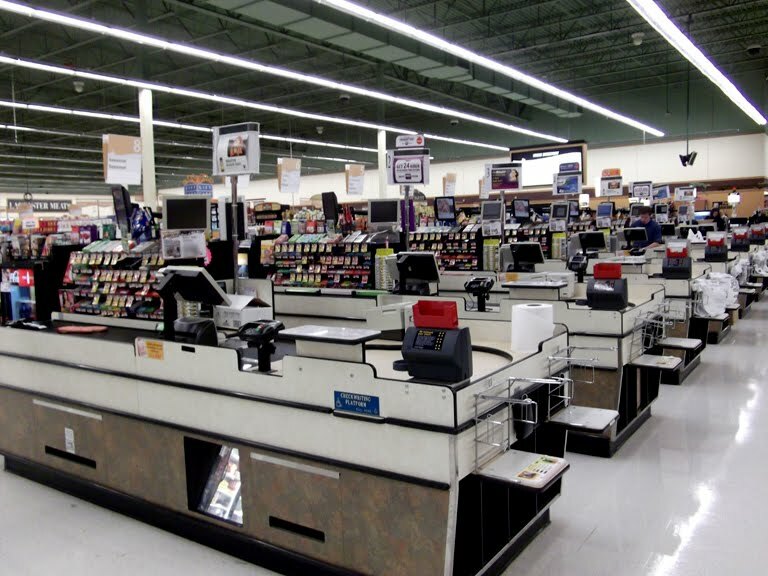 And yes, he checkout lanes are angled to save space! 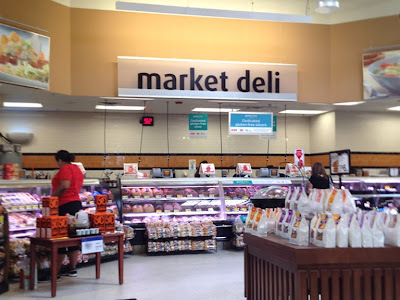 The only other store I've seen this done in is the Weis Markets in Clarks Summit PA.
Market Deli is immediately to the left when you walk through the entrance. It's tucked slightly in the corner. 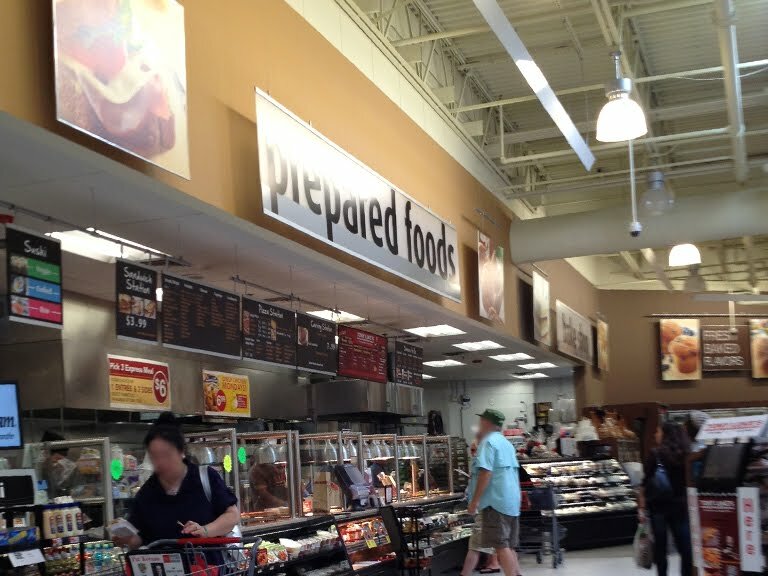 The Prepared Foods section just beyond the Deli seems to grab your attention first when you walk through the doors. Did for me anyway. Both Deli and Prepared Foods were staffed with tons of employees in black chef coats. Extremely classy looking. 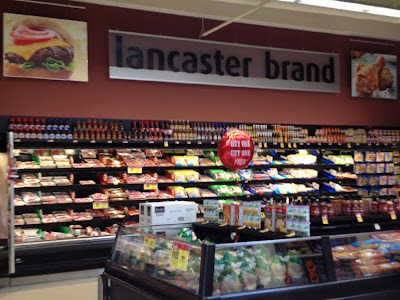 Have to say I was surprised at the volume of employees behind the counters, not to mention throughout the entire store. Made for some challenging picture taking. 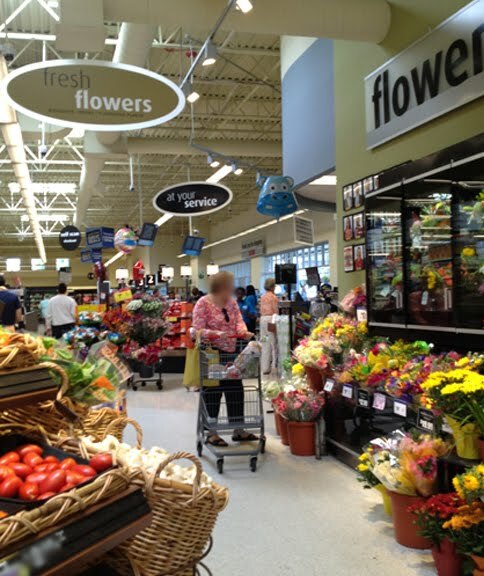 Impressive Salad Bar and Olives Bar located between the service departments and Produce. 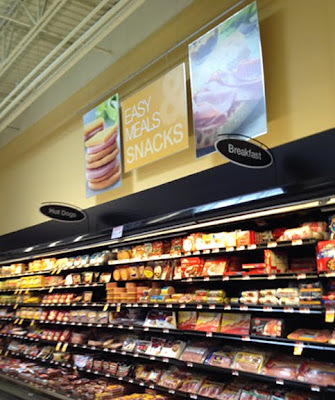 The layout here is tremendously better than the "Albertsons Marketplace" layout where these bars were often located up against the walls. Stunning Produce Department. 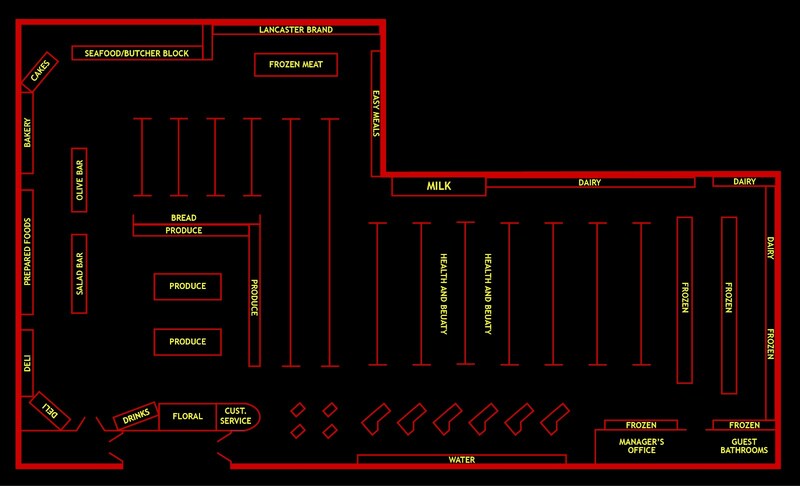 Quite large and roomy considering the overall size of the store. Does anyone know if this latest decor package has a name? It may still be called the "Premium Fresh and Heathy" package, although that's so old at this point it may have been retired for a new and more exciting term. As I've mentioned before, this package has to be one of the least expensive to come along in years. Referring to the decor here and not the higher end cases that are being used throughout the store. 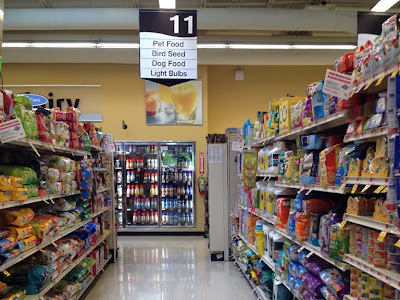 Must be much less expensive than the previous decor here with all of it's highly detailed department signs and decor items mounted to the walls. Click here for a look. 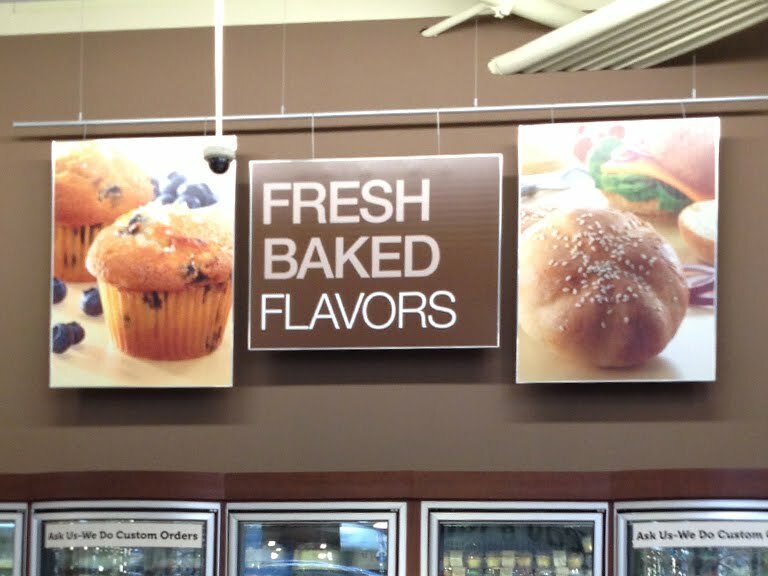 Huge selection of cakes in the back corner. There's even bags of cookie dough! Really cool freezers too which are hard to see from this distance. Some of the doors around rounded outward. Not something I've seen before. Here you can see the rounded doors with the "Ask us..." banners at the top. Wall treatments could not be simpler. Hang a couple of prints and a sign from the ceiling and call it a day. Yet they look really good. 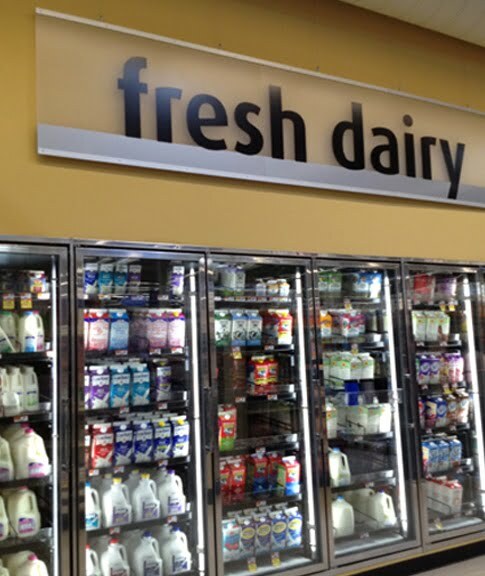 They can also be easily changed out down the line to freshen up the store. 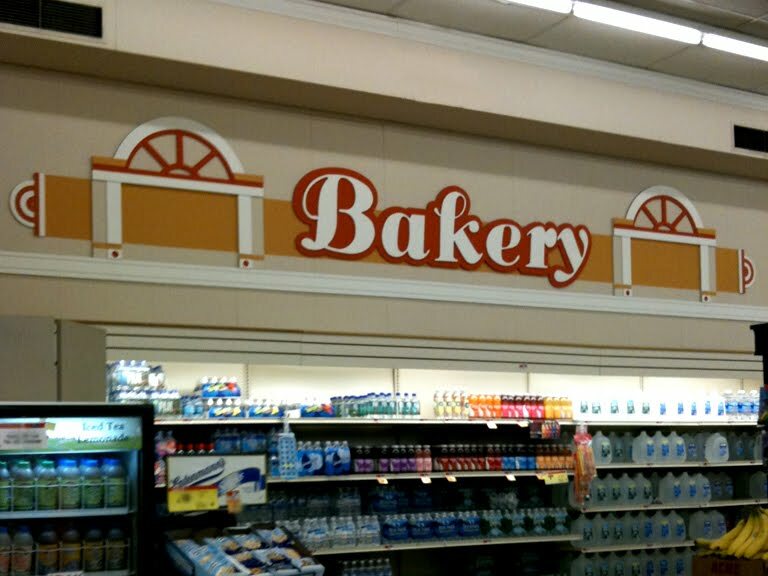 No more disasters like at the Sharon Hill store where the water department is called "Bakery". See here. 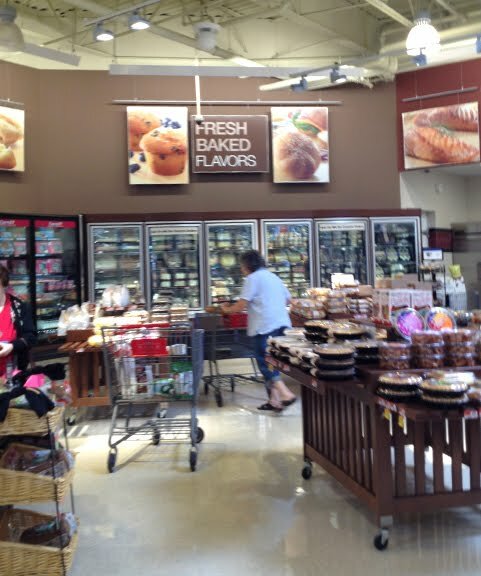 The store is pleasantly clutter-free despite it's smaller size. 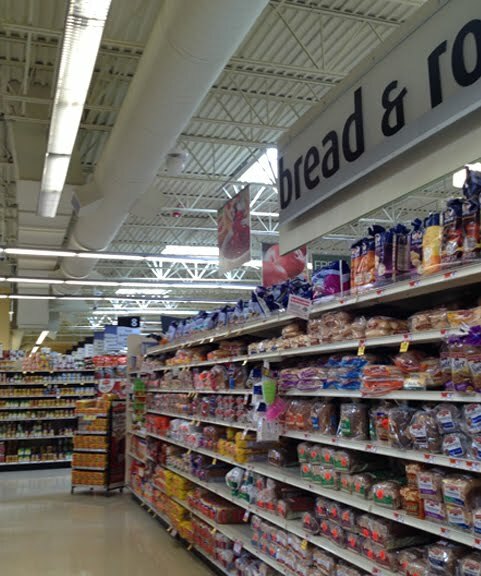 "bread and rolls" run right behind the produce cases seen earlier. 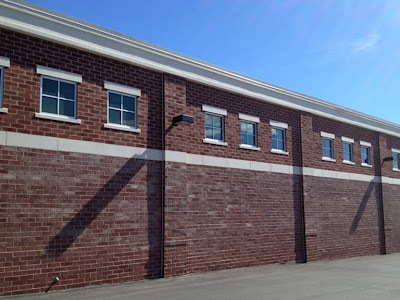 This section faces the back of the store. 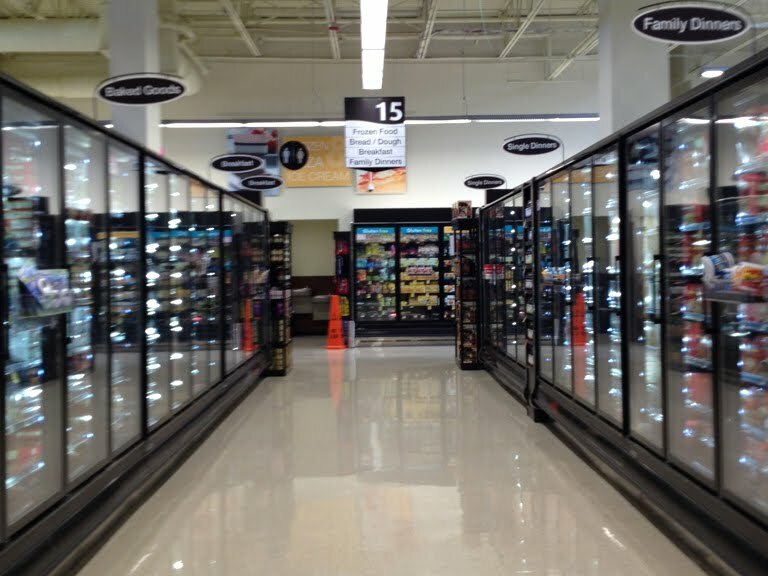 Looking along the back of the store. Several aisles are located to the left of where I am standing. 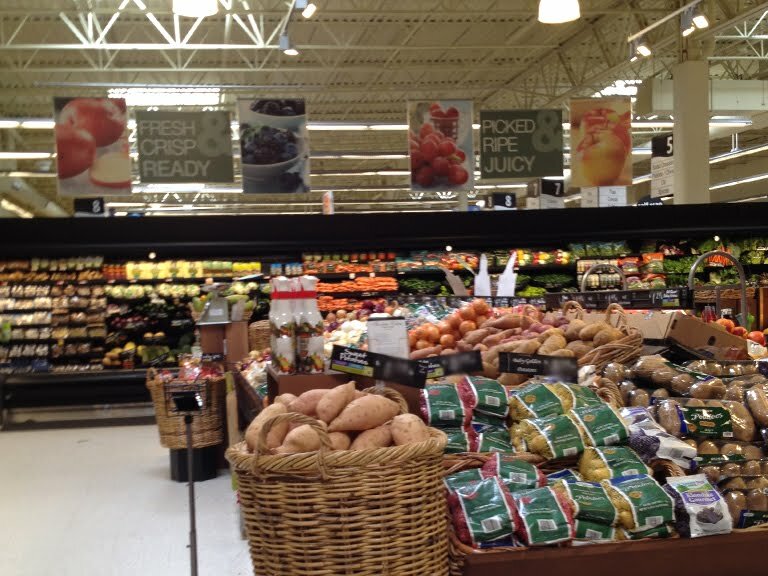 This decor package is being rolled out in all of SuperValu's grocery store chains like Shaws and Jewel Osco. You won't find any other chains with Lancaster Brand Meats as far as I know. 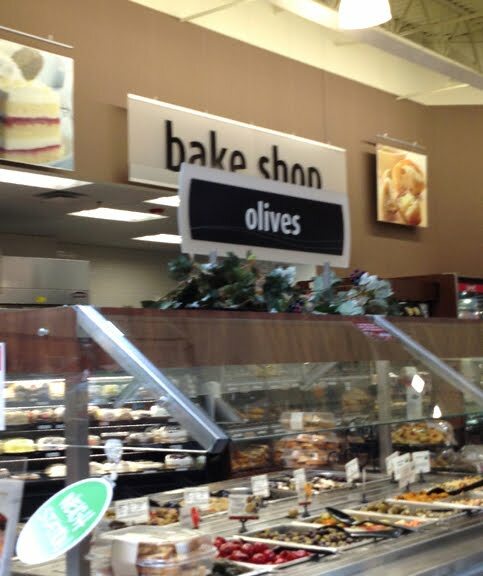 Surprised SuperValu hasn't stripped this name out. 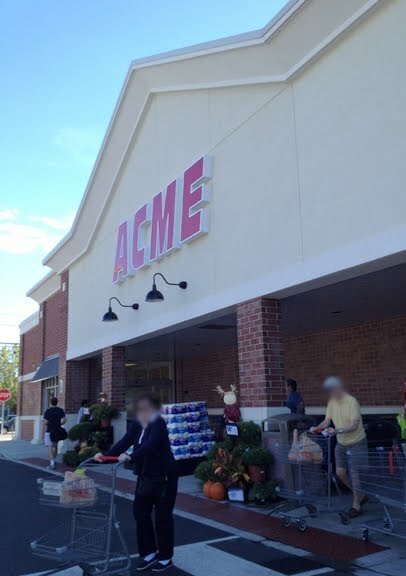 They've already gotten rid of everything branded "ACME" except the sign on the store. Oh, the grocery bags still say ACME but I'm sure their days are numbered too. The "PFH" wave style category markers appear to have been retired in favor of this new oval shaped signs. 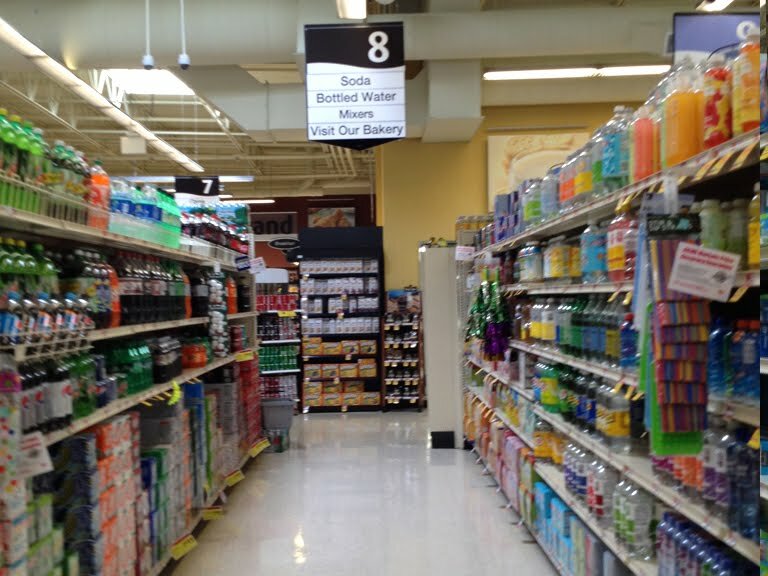 The wave remains on the aisle markers with the Albertsons leaf long gone now. Dairy runs along the back of the store and part way down aisle 16. 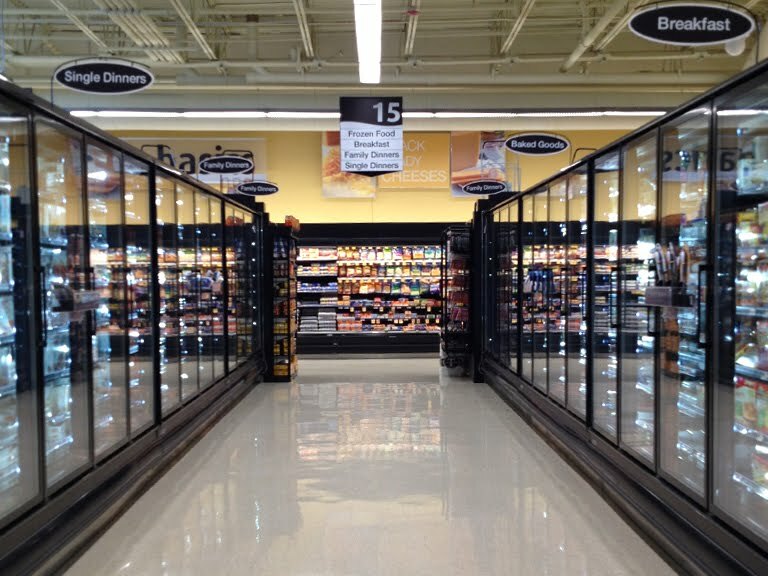 Grocery aisles 8-16 are very short. It's in these aisles that you realize the store is pretty small. Wide Frozen Food aisles with no displays in the middle. Very nice. 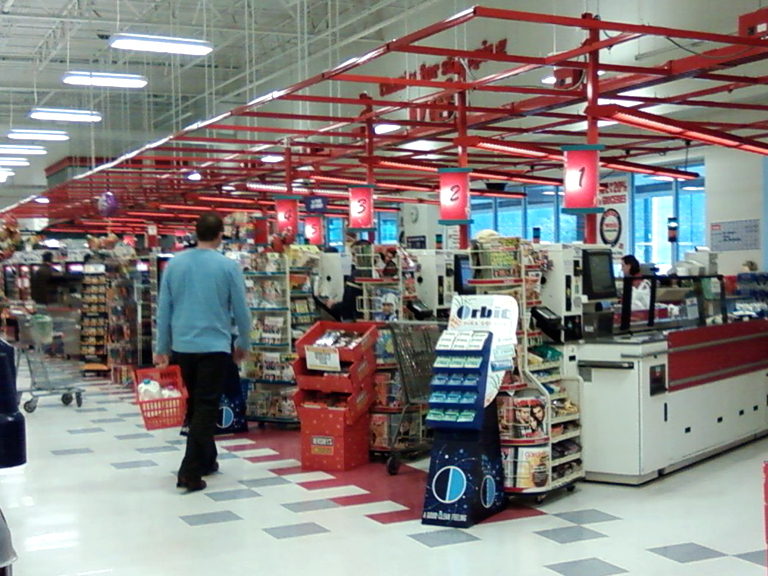 Looking towards the front of the store. Rest Rooms and Manager's Office straight ahead. 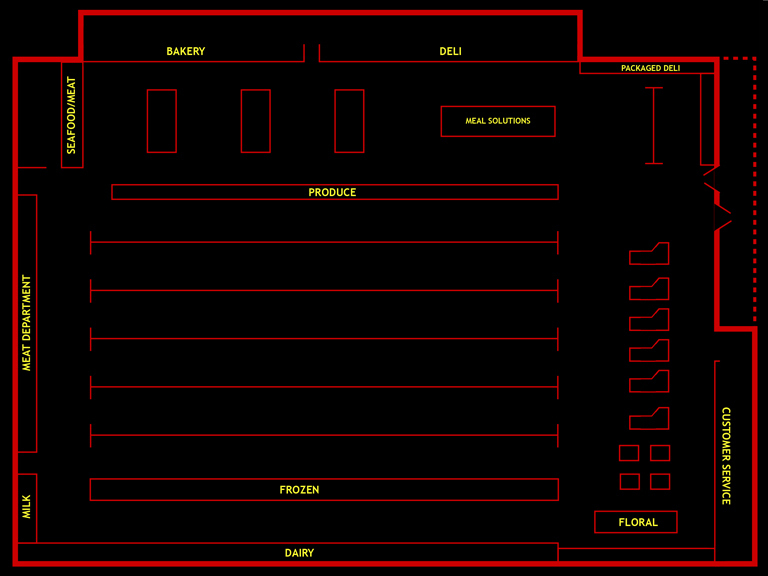 Angled registers! Very spacious front end. 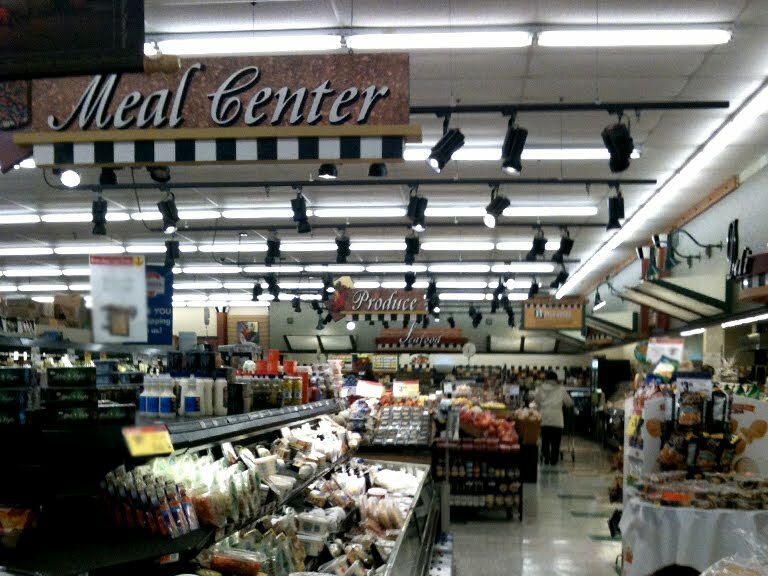 Check out those register lights! 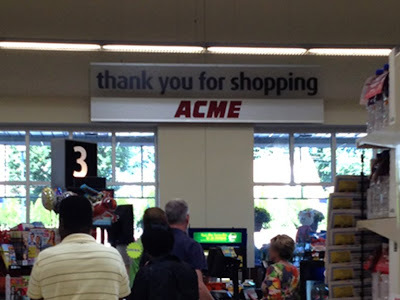 (More views below) A gazillion times better than the awful generic ones that Acme started using in the late 90's and continued to use in all of it's new stores up until this one. I can't say enough bad things about them. You can see them here in the now defunct Moorestown store. 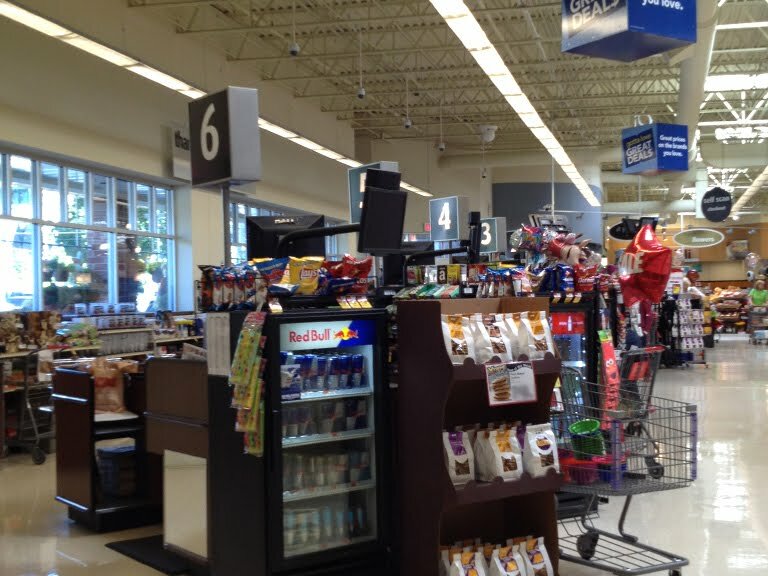 This store does have video screens at each register. Another thing I cannot stand! 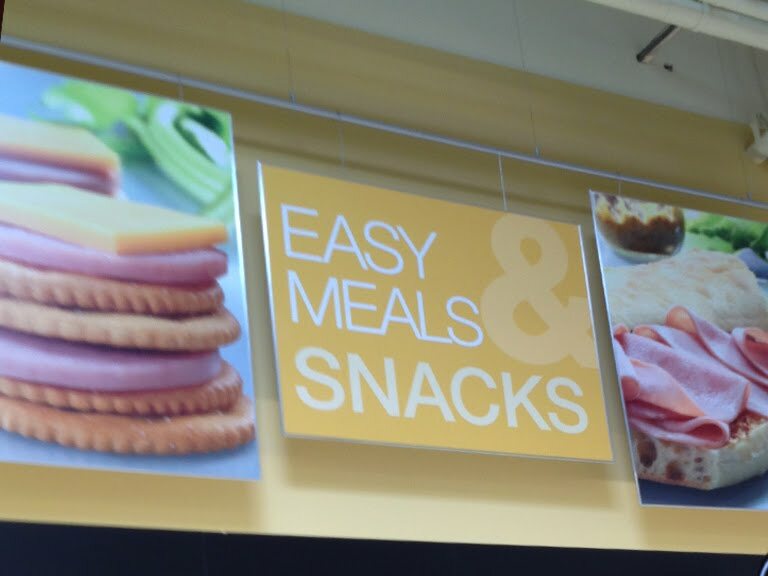 Why do I need to have something shouting at me when I'm standing in line to pay for my groceries? Huge turn off. 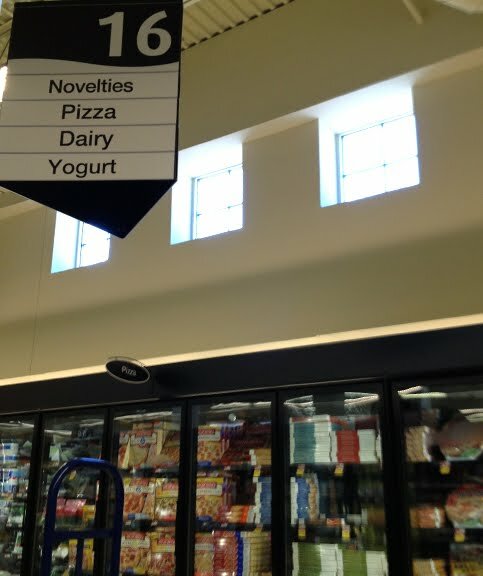 I avoid my local ShopRite for this very reason. Well, one of many reasons. 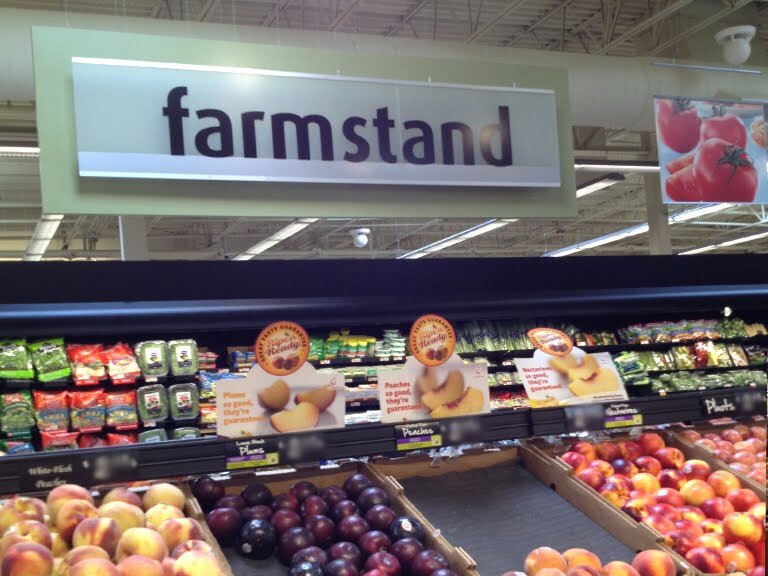 We're back at Produce here looking across the front end. Customer Service has a a cool, curved drop ceiling over it it. Finally! A store with self-checkouts AND and an express lane. 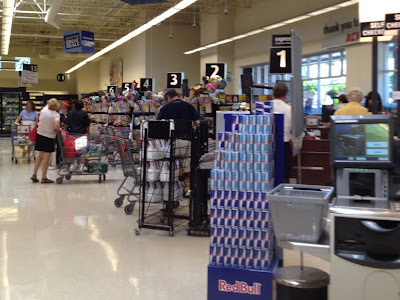 I love self-checkouts but hate the fact that stores let anyone use them no matter how much crap is in there cart and then have ZERO registers designated as express. Have to say, the completed building looks even better than renditions shown online prior to construction. 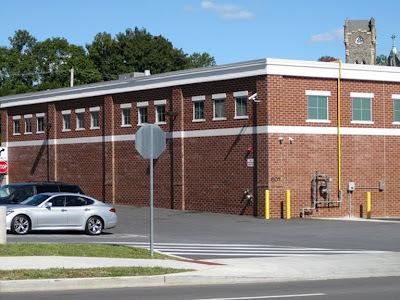 This back section looks like a repurposed warehouse. Windows above Frozen in aisle 16. Some of the brick looks purposely aged for a nice effect. Not quite the tower that once stood here. 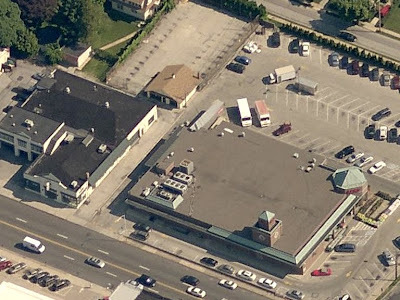 Here's a look at the old store with the former Jaguar dealership next door. 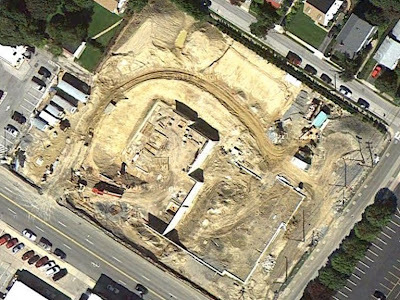 bing maps reveals the new store under construction. Looks as though the store has a basement on the left side. Back around front of this brand new beauty. Probably the last brand new Acme we'll ever see. New posts will begin arriving next Friday, September 28th! Additional store posts will be going up on the first 2 Fridays in October. I have tons of new material. 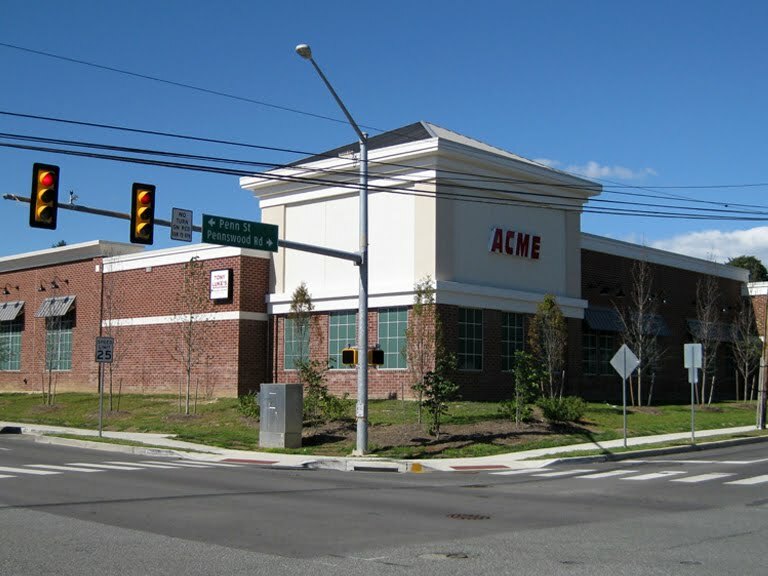 Acmes, Former Acmes, Bonus Stores... all getting the Acme Style treatment. Also coming soon... pictures sent in from contributors near and far. 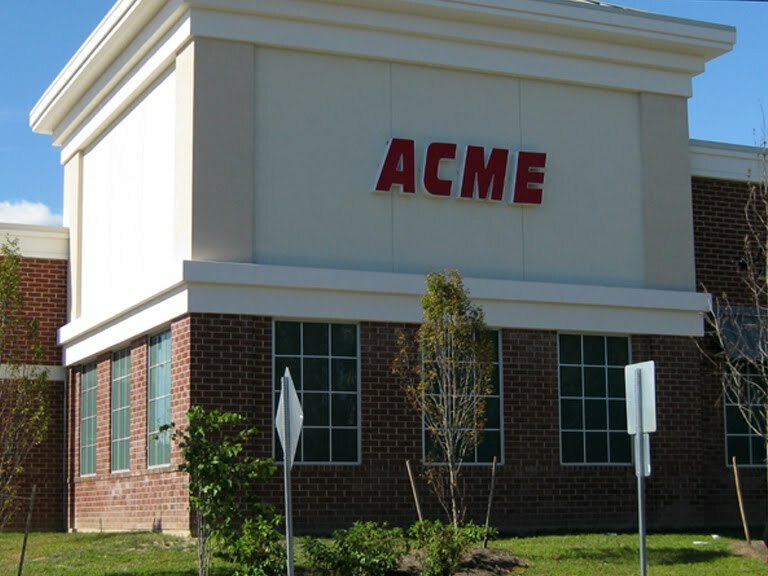 Just seven days until new posts start arriving at Acme Style! See you then! 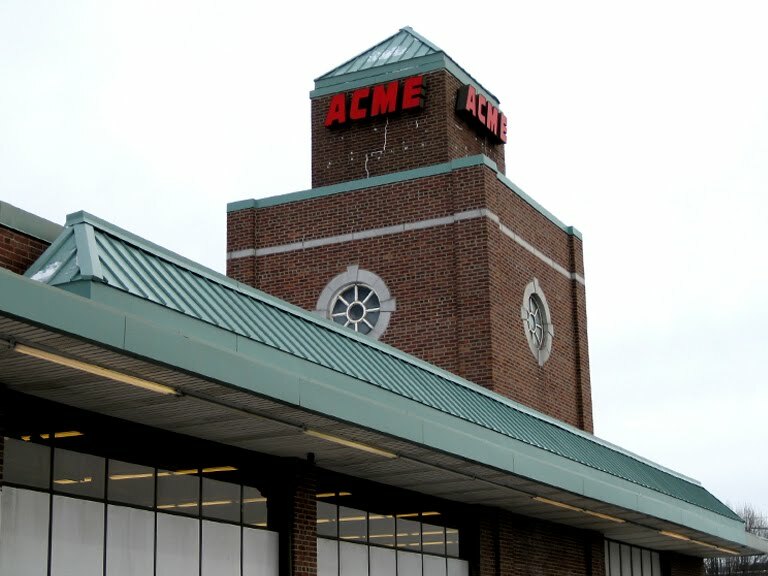 The time has finally come... the old beloved (by Acme fans, scorned by local residents) Newtown Acme will finally be torn down to make way for new retail and residential space. Things get underway on Saturday, September 22 at 10 am with a good ol' demolition party! As much as I would love to attend, I must send my regrets. If anyone can get some pictures for us, I would love to post them. See the links below for reports of the demolition, pictures of the store today and renderings for what's to come. To visit the abandoned store here on the blog, please click here. It's an Acme Style favorite! There's another article on the Bucks Local News site titled "Memories of Newtown: Acme store on Sycamore Street was once the hub of the community". Definitely worth a read but you MUST see the photo of the store in it's early day! Click here for the article and click here to see the picture super-sized! 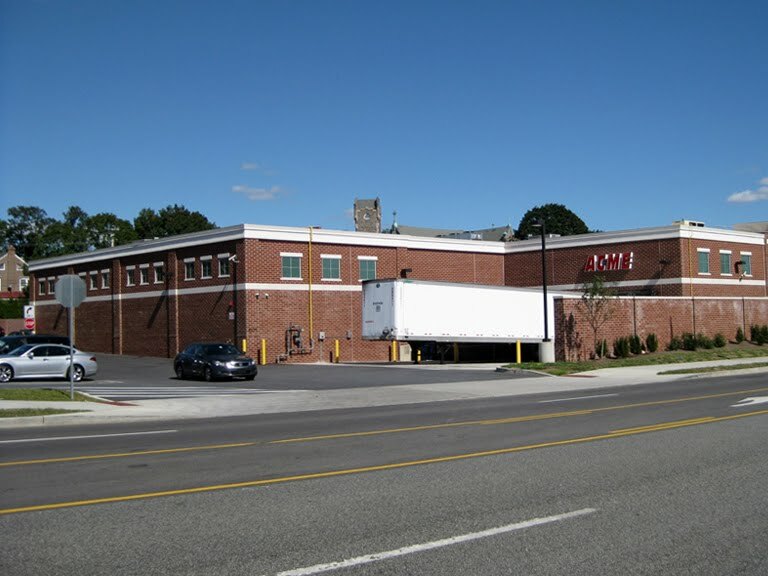 Check out the Acme sign... the parcel pick-up sign... the "Completely Air Conditioned" banner... photos like that don't come along everyday! 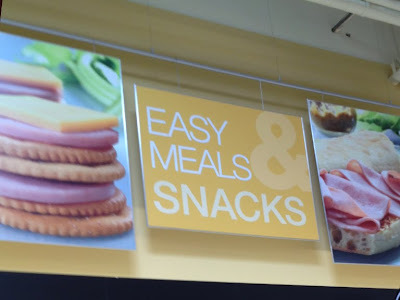 The classic picture in the article confirms what I had suspected in the original post... an addition was, in fact, made to the store. The newer section has a slightly higher roofline which you can see below. Very small addition, that is. 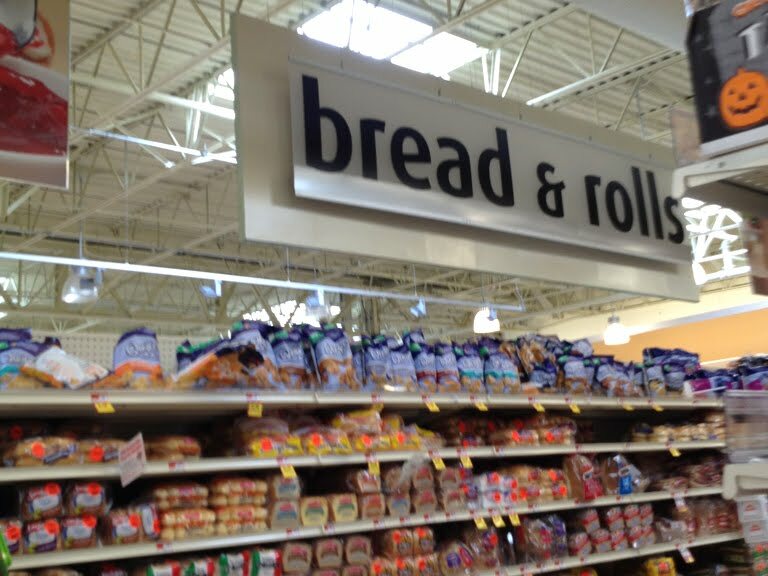 Couldn't have been more than an extra aisle. 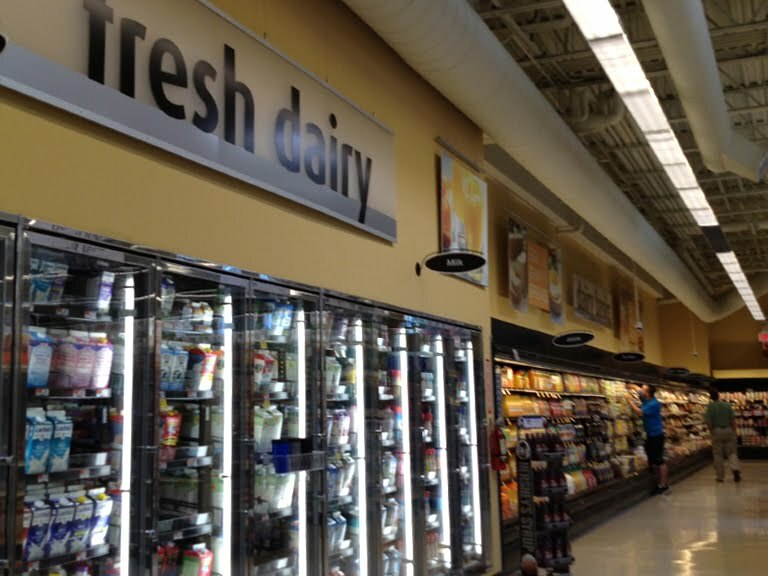 The entrance and exit were also moved from the side to the front of the store. Thrilled to have confirmation about this! Acme Style will be resuming operations shortly. Store posts are currently in production and will going up in a few weeks. I will add an update to this post announcing the specific date of the first post when it's set. This time around store posts will be arriving at a slower pace than in the past. All efforts to find the time to work on the blog like I did for the first 3 years have proved futile. It's just not gonna happen. The good news is... I have decided that a slower paced blog is better than no blog at all. 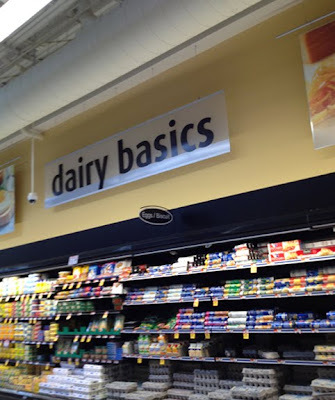 So, going forward, I plan to have 2 extensive store posts a month. They will go up on Friday mornings at 7:00 am. Other posts, such as News Breaks and Former Acme "Pick of the Day! ", will be happening randomly throughout each month. Check back here in about week to find out the date of the next big post at Acme Style! 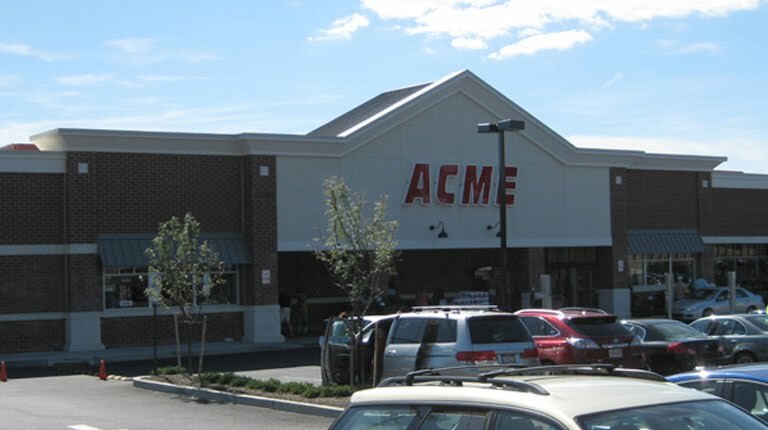 This just in... Acme to close 4 stores by year's end. Phlly.com broke the news just a couple of hours ago. You can read the article by clicking here. 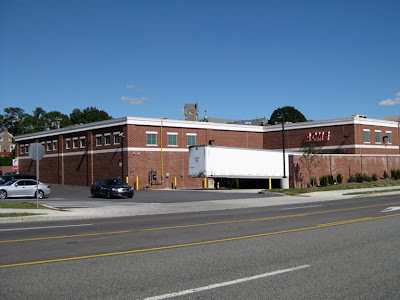 Glassboro has not yet been covered on the blog. 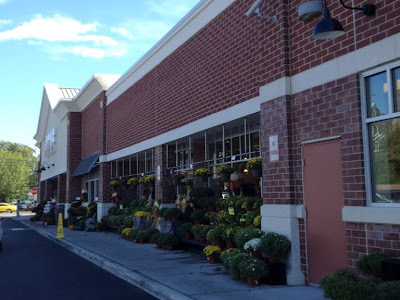 Sharon Hill is the very last store in the chain to still have the 80's Remodel. Morrisville is on of only 2 stores to still have the 90's Red/White/Blue decor. 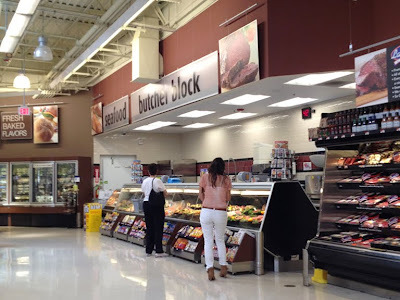 Stevensville is one of the last unexpanded 33M stores. It still has the 80's Remodel tile floor along with a bare-bones version of the Albertson's Marketplace package. 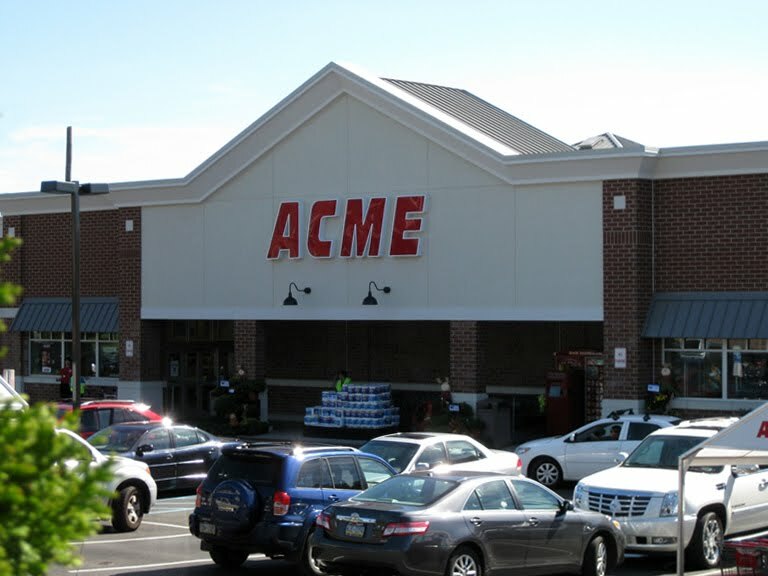 Considering the troubles SuperValu is currently facing it's a bit of a relief that only 4 Acme's are closing in this round. Alberstons is losing 27 stores while the Sav-a-lot chain is having 22 of its store axed.